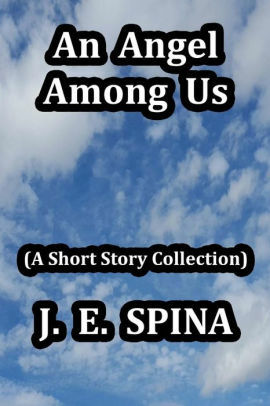 This is my new Short Story Segment of Jemsbooks Blog where I share blurbs of my short stories from the book, An Angel Among Us –an eclectic collection of 15 short stories. This collection has something for everyone -romance, grief/loss, mystery, suspense, horror, sci-fi, fantasy, and paranormal. Last week I shared the first story which is the inspiration for the title of the book. Go here to read about it. The second story in this collection is A Loss in Time. This tale is about a loss of time in the life of a young woman, full of promise and in love with the wonderful man she is to marry. She must face a horrendous memory that surfaces and get on with living. But can she? I really don’t know where this story came from. Fortunately for me, I have had no loss in time in my life or have had a memory too terrible to face. As with most of my stories they just come to me. Maybe this is from another life I had or will have. LOL! Who knows, but when my fingers begin to type there is no stopping them once I have a title. I hope you enjoy this story in the collection. I hope maybe one day to write another short story collection to share with you. But for now please enjoy these. Watch for the next story in the collection coming next week. I will try to post one or more a week if times affords me that option. Ahh, maybe I do lose time. Ha! Thanks for stopping by. Hope you will pick up a copy of this collection and follow along with me as I share each blurb in a separate post. Thank you for your support! Please show some love for authors by reviewing their books wherever you purchased them. We authors will love you back! Thank you! This entry was posted in books, paranormal romance, Reading, Romance, sci-fi, short story, Short story collection, suspense, Writing, book reviews and publishing, poetry, children's books, YA and novels and tagged Mystery, paranormal, romance, sci-fi fantasy, short stories, story story collection, suspense. Bookmark the permalink. It is interesting that you come up with the title first, Janice. I always struggle for a title.